The Maaaaa of Pricilla: Exciting News! No, it has nothing to do with the Farm. But it does involve one of my friends. My friend Janiss - you know, Summer's human - is putting out a new book. It is called Rescued and it has 12 stories of rescued cats told from their point of view. It is so nice that all of these kitties have found their forever homes. What is even better is that part of the proceeds of the book sales will go to shelters to help more cats find their forever homes. You can watch the book trailer to learn about the kitties. But I haven't gotten to the REALLY exciting news yet. I am helping with the launch of the book. Even though I am not a cat I feel it's important for all animals to be loved and to have forever homes. On January 12th there will be a Rescued PubSlush Campaign - it's like Kickstarter but for books. You can give monies and get different perks in return. 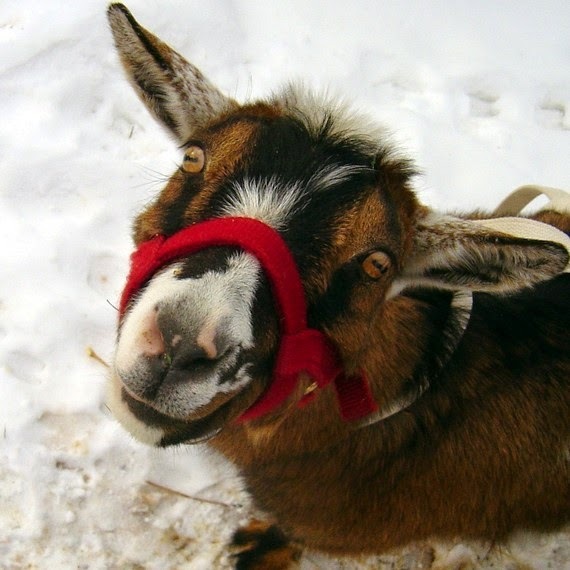 What does this have to do with a little, old goat in Montana? Well, this little old goat is helping with one of the perks! Did you see that you get a bar of my rich soap? Isn't that very, very exciting?! It's a cat shaped bar - very appropriate don't you think? There are only 25 available so be sure to head over on January 12th to be sure to get one of these special perks. And to get a book full of special stories about special cats.